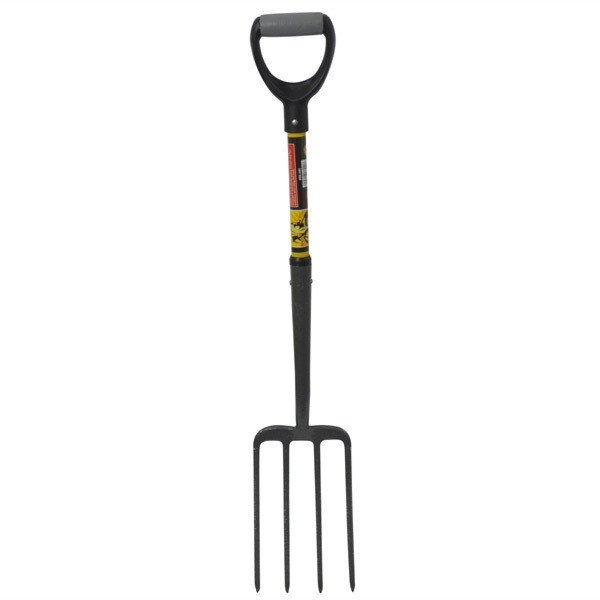 Roughneck Steel Fork is a one-piece forged digging fork with a forged head. It has a heavy-duty hardened and tempered blade with a lightweight solid fibreglass handle. The fork also features fully welded sockets with glued and pinned handle to head connection, an ergonomic designed soft feel D grip and is finished in a hardwearing grey powder coating.